As you pile on layers of clothing this Winter – your nice new winter coat, a scarf (or two) and gloves – have a think about passing on your old winter coat to those who may not have so many layers. 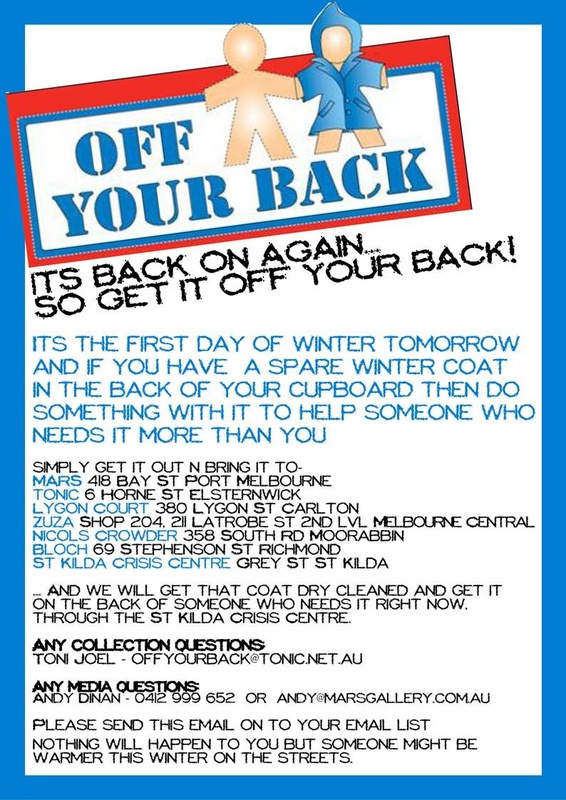 Off Your Back is on again… and starts tomorrow! Help someone on the streets stay warm this Winter by grabbing those unused coats from your wardrobe and dropping them off at one of the locations on the flyer below. The Off Your Back gang will then get it dry cleaned before passing it on.